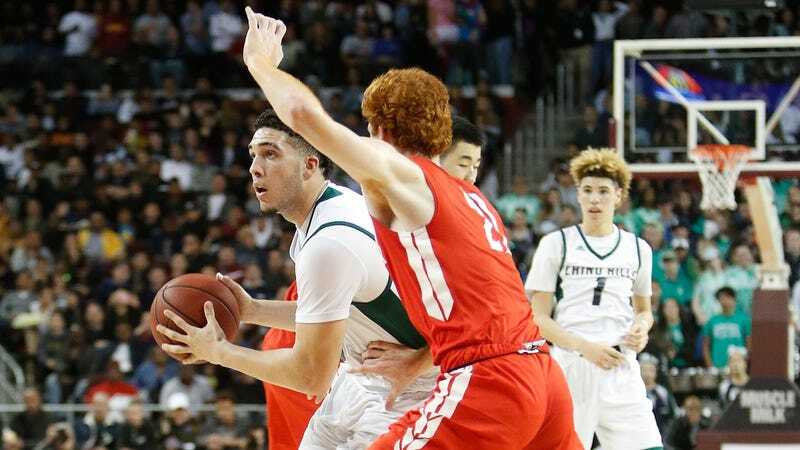 After just under a week of speculation of how the legal process would play out for a trio of UCLA freshmen caught shoplifting in China, LiAngelo Ball, Cody Riley, and Jalen Hill are on their way back to America. The group was released by Chinese police following their detainment for nabbing Louis Vuitton sunglasses; the police reportedly had video of the crime and questioned them in the team hotel days before their season-opening win against Georgia Tech. I tremble thinking about just what it was that the self-proclaimed “great negotiator” gave up to get the middle Ball child back.